Friends of the Donkey Paradise spotted an old little donkey in a country lane, in the blazing sun without water or anything to eat. So they stopped to give him some water. Only then did they see that his hooves were extremely long – too long for him to walk. So they contacted us and asked us what could be done. One of our volunteers went to see the animal straight away. He also contacted our farrier, who came and cut the donkey’s hooves. 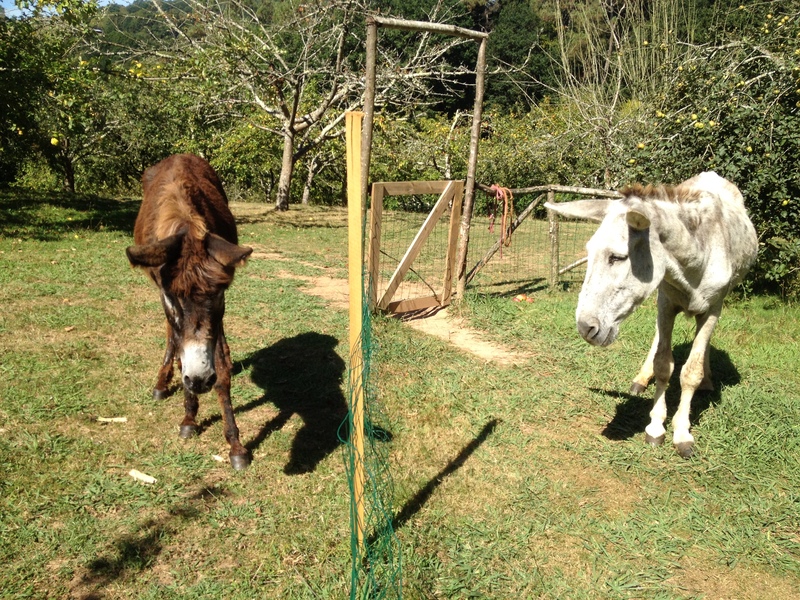 Fortunately little old Alfredo was then brought over to the Donkey Paradise, where he will be taken good care of from now on. Little by little he is settling in. 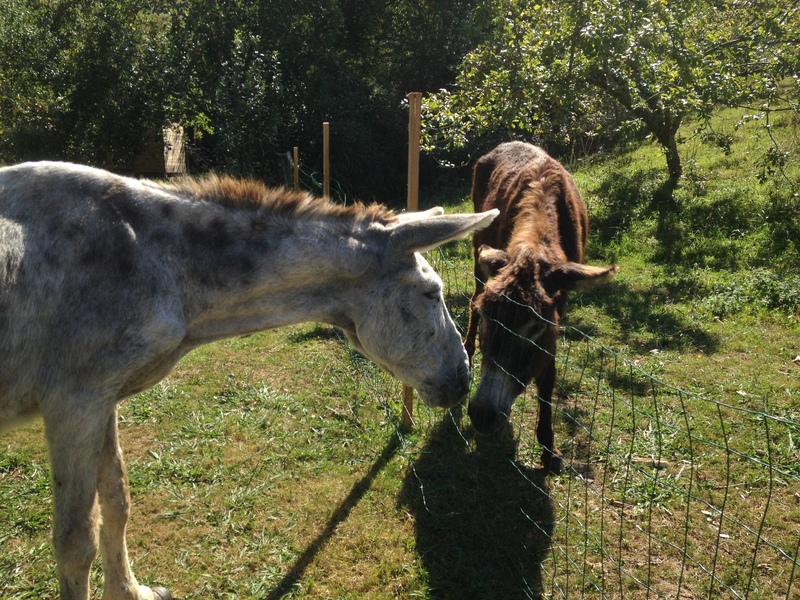 On the photo: Nico (brown), another very old donkey, has come over to welcome Alfredo (white) in the Donkey Paradise. 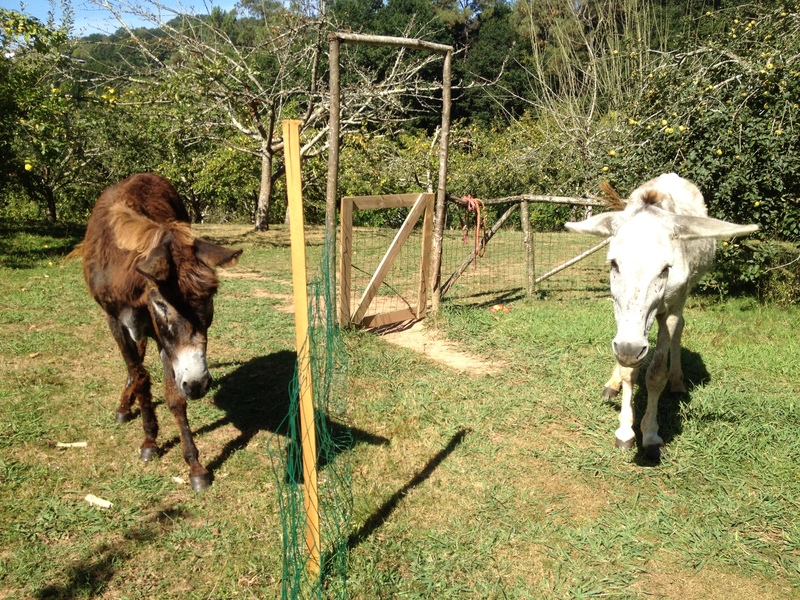 Most of our donkeys are elderly and require a lot of car. We are a small charity and we depend upon donations to continue our work. If you would like to sponsor one of our donkeys you can find more details on this blog or on our website. Your help is needed and is greatly appreciated.